BitPay, payment provider for Bitcoin digital currency, launched another innovative app with features for making payments, buying and storage. This is another addition to the collection of BitPay’s tools for merchant payment. 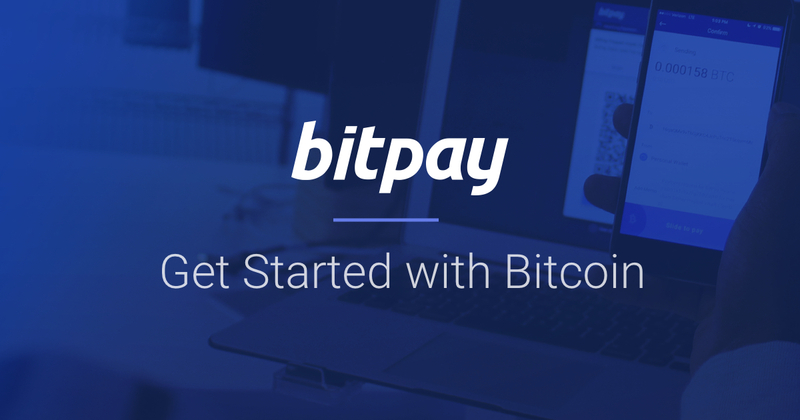 At present, BitPay.com is a payment processor that helps merchants set up their own gateways for digital currency transactions. With this platform, business owners can now receive bitcoins as a legal form of disbursement. BitPay provides benefits such as day to day bank payments, flat rate prices, guaranteed foreign exchange rates, and option to transfer bitcoin sales to QuickBooks software. The unique application ensures security and accessibility especially for users with limited knowledge of digital currencies. 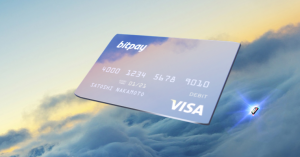 It facilitates conversion of the bitcoin to dollars using BitPay’s prepaid debit card (Visa). This is the only debit card for bitcoin users in the United States. Such convenient feature allows users to adjust their traditional and digital finances without disregarding BitPay. There are similar service providers. Yet, these payment platforms oblige users of this digital currency to keep their bitcoin in accounts managed by third parties. The policy makes them vulnerable to cyber hackers and security infringements. With the BitPay application, users have absolute control of their funds. This is achieved through private keys, authentication system and technical support. New merchants can follow the easy tutorial for seamless navigation after downloading the app. You can use the app on desktop computers as well as mobile devices. Only last September, BitPay launched the modal invoice. The feature enables automation or computerization of refunds intended for payment exceptions of bitcoin. The invoice resolves a common predicament that bothers first-time users. There are cases when a wrong amount of bitcoin is forwarded to a BitPay seller. With this type of invoice, payments are handled in a more organized method. Users can request refunds for insufficient payments or overpayments. What does this mean? Shoppers who do not pay the full amount can retry orders. On the other hand, customers are given quick refunds if they pay more than the advertised price. It is a prompt payment correction system that benefits merchants and shoppers alike. BitPay management envisions their app to be the preferred wallet of most bitcoin users for keeping and spending the digital currency without security risks. BitPay managed to deliver bitcoin payment services efficiently for large companies like Microsoft Corporation, Steam (Entertainment platform), and Newegg.com, a web-based retailer for PC software and hardware. It is also responsible for developing CoPay, a multi-signature and open-source program that functions on mobile and desktop. Users can segregate and store several bitcoin wallets through this platform. Going back, BitPay has made it a point to improve security of client accounts through its REST Interface. The interface or program helps apps developers to maintain utmost security in the process of combining BitPay with accounting systems. BitPay is used in the creation of invoices, billing operations and processing of refunds. 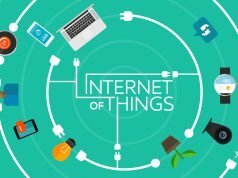 Users are able to get hold of real-time data and gain access to ledger entries of merchants. The BITAUTH ID Protocol is a unique identification procedure that gives users and the public Client IDs. Said process can be compared to that of bitcoin. It is supported by client libraries of BitPay. The bottom line is BitPay showcases solid technical capabilities both for merchants and customers. These are put together with current payment processing practices. This is indeed a big boost to payment processing technology. Payment for original digital content. There are no restrictions imposed on vendors selling these products and want to convert bitcoin assets into cash. Payment for travel and tourism-related services. Merchants can do business with clients from different countries. They can also accept bitcoin payments through BitPay. Accept political campaign contributions and charitable donations. For political purposes, BitPay provides collection services that comply with campaign finance legislation. Supporters are allowed to make small donations. BitPay pays merchants once each day for all bitcoin transactions. This is effective in clearing bitcoin balances of vendors. It is also a way of simplifying bookkeeping processes. At the same time, such approach is a deterrent against attempts of hackers to pilfer payment information. Merchants can opt for the transfer of bitcoin balances to their respective bank accounts once daily on business days or their bitcoin addresses once for every calendar day. Bitcoin digital currency is now available in many countries. Merchants can regulate their prices based on 150 currencies. This enhances their opportunities to transact with international markets. The payment service is the most economical processor in the industry. It offers multiple options for traders. These include no hidden charges and transaction fees. Starter accounts have a minimal one percent transaction fee but no monthly charges. Business, Enterprise and Professional accounts are customized according to enterprise processing and increasing number of settlements. 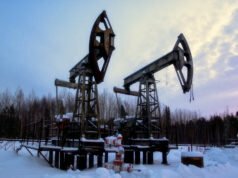 The Professional account does not impose transaction fees while the Enterprise account accommodates access to Virtual Private networks or VPN. BitPay.com has the capacity to monetize up and coming markets. There are payment instructions in English and 10 other languages. Price instability is eliminated. While the bitcoin market is unpredictable, BitPay ensures the FOREX rate during checkout through the platform’s one of a kind Bitcoin Best Bid or BBB rate computation. The calculation considers real-time quotations from various bitcoin exchanges. With BitPay, traders can look forward to trouble-free integration. They have the prerogative to install payment gateways without delay. BitPay.com makes available 20 shopping cart plug-ins which makes the integration uncomplicated. It does not matter which cart the merchant utilizes. BitPay was reported to have agreed to terms with We Funder, a crowd funding equity platform. Under the agreement, We Funder (the biggest platform for crowd funding equity worldwide) will start to accept Bitcoin currencies directly. The platform went live only in May of 2016 but started strong and continues to make substantial progress. It has raised more than $US26 million for some 135 start-up businesses. We Funder also assisted enterprises funded in the United States to receive international bitcoin payments. The start-ups can expect amounts ranging from $US20, 000 to $US 5 million. Management also disclosed during the Money 20/20 technology convention that BitPay has combined its CoPay wallet with the 7th generation Software Guard Extension of Intel Corporation to enhance its security profile. The security platform of Intel builds a secured space wherein codes and keys of bitcoin can function properly without the risk of compromise. BitPay management believes the processing chip of Intel is segregated from the entire PC. This is a protected execution milieu. It means compromised software or hardware will not expose the funds or private keys of users to cyber criminals. This integration is likened to a sheltered zone where insecure computers are safe to perform. The updated mobile wallet of bitcoin on Google Play matches the latest features of bitPay.com. These include the BitPay debit Visa card for bitcoin. Said wallet has the so-called Hierarchical Deterministic back-ups; address generation capability; management app; multiple wallet innovation; capacity to purchase Amazon gift cards; unit denomination; and, pricing support alternatives. BitPay has also formed a new collaboration with Ypsilon.Net, a global Information Technology provider based in Europe (Frankfurt, Germany). This IT Corporation caters primarily to the travel sector. It maintains a platform complete with booking engines as well as payment processing configuration for numerous websites worldwide. It is capable of handling millions of business transactions monthly. This partnership is seen as encouraging thousands of Internet-based travel agencies and booking platforms along with their clients to use bitcoin as payment mode. Ypsilon.Net integrated the bitcoin payment system of BitPay to its own settlement Application Program Interface (API). This is boon for the company’s European clients and other parts of the world to start bitcoin payments on their websites. This European provider is one of the top providers of online travel technology for Business to Business (B2B) and Business to Consumer (B2C) apps. Ypsilon.Net is used by more than 80, 000 web portals all over the world and over 5, 000 clients. The company’s services consist of building customizable online reservation engines, affordable carrier content, ticketing automation, cached data, and tools/systems for offices. This German firm powers around 80 percent of travel websites in Germany. International tourists and travelers together with the broad travel sector will surely obtain a lot of benefits from the combination of bitcoin payments. For one, crypto-currencies have the lowest transaction costs compared to the conventional payments in cash, credit cards or debit cards. Besides, travelers worldwide do not have to worry about charges for foreign currency conversions if they choose the digital currency as mode of payment. Transactions with high value which include hotel accommodations and travel reservations have large credit card processing fees. These are cancelled out by the bitcoin. BitPay has contributed immensely to these phenomenal trends and business owners as well as consumers are reaping the benefits.